Platinum jewelry is the most expensive jewelry you can find on the market. This stunning rare metal has uses not only in jewelry making but also in other industries. The medical and research industries also use platinum, as well as the automotive industry. Due to this metal’s highly reflective surface, gorgeous color and amazing properties, platinum jewelry has become very popular, especially for engagement rings. Read further to discover fascinating facts about this metal, as well as the benefits of owning platinum jewelry. In 1557, a physician called Julius Scaliger found a metal in Central Africa and was stunned to discover this metal wouldn’t melt. He called it “platina” which translates to “little silver”. Julius may not have had a great imagination, but he gave this metal its name. Almost two hundred years later, a British scientist named Charles Wood published the first important study about platinum’s properties and qualities. Many years have passed since then and platinum has made its way into our lives. Along with gold and silver, platinum makes amazing jewelry pieces. But, of course, these are more expensive than gold and silver ones for several reasons. One of these reasons is that platinum is 30 times more rare than gold. Of course, this could change in the future. After all, many years ago, people believed silver was more rare than gold until they discovered important amounts of it. Coming back to platinum, as far as we know, you can only extract this metal from a couple places on the Globe. Most of these places are in South Africa, but you can also find platinum in Canada, Russia, and Columbia. As we stated in the beginning, platinum is used not only in jewelry making. In fact, only 30% of the platinum goes into jewelry. So where does the rest go? Medical industry. Platinum is great for dental crowns, pacemakers and other medical equipment that goes into the human body. It doesn’t interact with bodily functions and is resistant to bodily fluids. Automotive industry. Almost 50% on the platinum goes into this industry and helps us breathe better air. Catalytic converters contain platinum and these automobile parts are responsible for reducing the toxic gases emissions. Agriculture. Some of the platinum goes into fertilizers, making them more efficient. Cancer treatment. Platinum is used in almost 50% of the cancer treatment drugs. 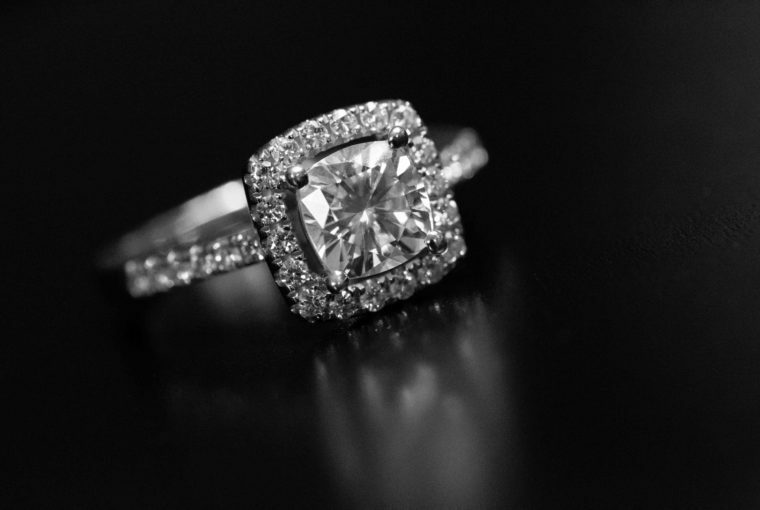 When it comes to platinum jewelry, let’s see what you should expect when you buy a platinum ring, for example. White gold is similar to platinum in color, but it will always have yellow tinges because it’s an alloy. Platinum’s color is natural, therefore it will always be silvery white. As opposed to silver, platinum does not tarnish, which means that it will maintain its beautiful color in time, no matter how much you wear it. As a metal, platinum is harder than gold. Platinum jewelry, on the other hand, contains 95% pure platinum. This means that gold jewelry (which is an alloy that has the purpose to strengthen the gold) is harder than platinum jewelry. In other words, you need to be very careful with your platinum ring because it can easily scratch. This metal is hard to work with because it is not very malleable. This is also good and bad news for you. The bad news is that platinum jewelry will cost more than gold jewelry because it requires more time and effort. The good news is that because platinum is not very malleable, it doesn’t bend easily. Your gemstone will stay more secure in a platinum setting than in a gold one, for example. A platinum jewelry piece contains 95% platinum. An 18k gold piece, for example, has 75% gold while the purest gold alloy (22k) has 91% gold. One last thing you have to consider when it comes to platinum price is that you can never melt the jewelry you get. When you buy a gold ring and, after some years, you decide to turn it into a gold chain, for example, you can do that. Unfortunately, as Julius Scaliger discovered back in 1557, platinum does not melt. This means that you have to take extra care of jewelry made of platinum. You cannot melt it if it gets scratched, you can only send it to a refiner. They will fix it for you, but it will cost a lot. Overall, platinum is a great metal for jewelry. The most elegant and lavish jewelry is made of platinum and, when you combine it with diamonds, you get a stunning effect. And speaking about stunning jewelry, discover our designer fine jewelry collections. Ana Luisa is the place to go when you want gorgeous designer jewelry at a fair price.